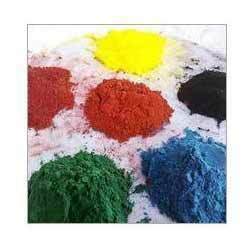 Our range of products include synthetic iron oxide. Being a reputed enterprise, we are providing our clientele the best quality of Synthetic Iron Oxide, which is widely used in commercial industry for varied purposes. Offered product is widely accessible from us in dissimilar specifications and packaging options at low market prices. These products are much-admired amid customers for their long shelf life and finest quality. Our product is available in varied chemical compositions that meet on industry norms. Looking for “Synthetic Iron Oxide”?